Fond du Lac, Wisconsin is a city of about 43,000 on the southern shore of Lake Winnebago, the second largest freshwater, inland lake in the country. 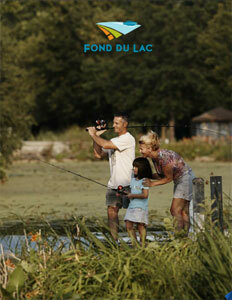 The name Fond du Lac is a French term meaning “Foot of the Lake,” i.e. its southernmost tip. The area that became Fond du Lac County was first inhabited by Native American tribes, primarily the Winnebagos, but also the Potawatomi, Kickapoo, and Mascoutin who lived or gathered in the area long before European explorers arrived. It was settled by French traders at the end of the 18th century. The town of Fond du Lac was founded in the 1830s. Its first school was built in 1843; the first railroad came in 1852, the year that the city incorporated. By 1870, it was the state’s second largest city. Logging and milling were primary industries into the late 1800s, with access to Lake Winnebago as the main driver of commerce. By the turn of the twentieth century, the logging boom had run its course in Fond du Lac with many mills either having moved on or shut down. However, in the early 20th century, the city still continued to be a commercial center for agricultural products from the surrounding area. Since the late 1930s, the largest employer in Fond du Lac has been Mercury Marine, a maker of outboard motor engines and one of the world’s leading providers of marine propulsion. Recently, the city of Fond du Lac embarked upon a journey of self-discovery and re-evaluation in a community initiative called Envision Fond du Lac. 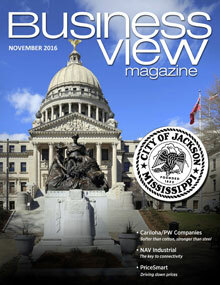 Over the course of more than a year, nearly 30 public, institutional, and private entities, as well as hundreds of residents, came together to envision the city’s future, ten, twenty, thirty years down the road. In addition to being a planning blueprint, Envision Fond du Lac also served as a vehicle for the entire community to move forward with a common sense of purpose and direction. As a result of all that input, Envision Fond du Lac focused on three big ideas: recalibrating the city’s economy for the 21st century which includes becoming a primary hub for entrepreneurship, small business start-ups, and quality job growth; enhancing the community’s identity, brand, and distinct sense of place; and investing in the city’s children while attracting and retaining young students and professionals to replenish its aging population. Envision Fond du Lac contains many strategic objectives and actionable items distilled from its three main areas of focus, as well as several “moon shots” – big ideas that the city can embrace, both immediately and incrementally, to achieve its goals. For example, although Fond du Lac is a “lake city,” it is not well-known for its waterfront. Therefore, embracing Lake Winnebago and investing in the city’s Lakeside Park is a moon shot that can transform the waterfront area and redefine the city, both for its residents and tourists, alike. Dyann Benson is Fond du Lac’s Community Development Director. Part of her job is to take the recommendations put forth in Envision Fond du Lac and move the process along, using the resources of the city, when appropriate. “The city staff does an awesome job of facilitating the process so that the citizens and business community can come together, have these conversations, come up with ideas, and vet them. And then, when it does come time to move something forward, and perhaps spend money, it’s not done in an ad hoc way,” says Molitor. Fond du Lac, Wisconsin may be at the bottom of the lake, but it’s certainly on top of its tomorrow.